﻿﻿﻿﻿﻿﻿﻿﻿﻿﻿﻿Anjaani Anjaani is a story about two strangers Kiara and Akash who meet at a bridge while both are attempting suicide. But fail at the attempt only to meet later. They decide to do it together and make a pact to do it on 31st Dec. And in the meanwhile they could do all the “Things to do before you die” from their wish-list and like you would have guessed they later fall in love, decide to give life a chance and get married and stay happily ever after. Oops! have I given out the ending. Doesn’t matter you would have known it anyway. That exactly is the problem with the movie. i.e The Script. Great locations, great costumes, great cast but no soul… And the fact that music is unforgettable goes without saying. We were waiting for the movie to get over. 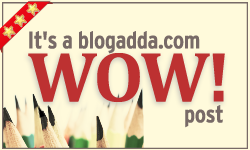 The recent Hindi movies have all been craps. And what is with the exotic locations and names? There are so many places in India but no, people like Karan Johar think India lives in Australia and America. 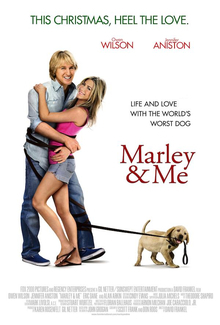 Will check out the flick “Marley and Me” But did I read correctly that you are not fond of dogs? That is blasphemy. Hmmm agree on the hindi movie part. In fact I can name most European and American tourist places without having visited any of them. Thanks to the Bollywood movies. India doesn’t live in America and Australia but I guess people definitely like to see these places 🙂 And this has been so overused in the Indian movies that now it has lost its charm. Guys I loved Anjana Anjani… seriously I did!! Not sure of the movie, but as always, your review is good enough with an advice backed. Haha.. I am really really of the big screen. *I am really really off the big screen.